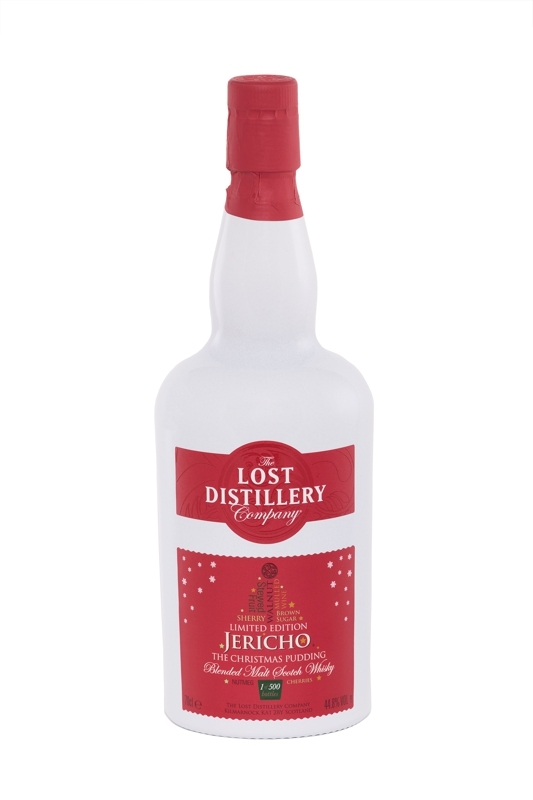 This seasonal release is a variation of the popular Jericho malt, which is part of the Archivist collection. The blend is said to encompass the comforting flavours of the much-loved Christmas pudding in each scrumptious sip. Scott Watson, Co-Founder of Crucial Drinks and The Lost Distillery Company, said:“We’re obsessive about craft and uncompromising when it comes to whisky quality. Each resurrected brand is the subject of an in-depth research project to establish the original character of the long lost distilleries. Jericho Christmas Pudding offers a splendid seasonal toast to the heritage of a forgotten liquid and a renowned distillery in Scotland. Nose: Sweet, gourmet and Christmassy with notes of brown sugar, plum brandy, golden syrup, star anise, nutmeg, dates, figs but also some cereal-forward aromas of ginger bread (I’d like to say “christmas pudding” but that would be too easy…). Palate: Mission Accomplished for this festive Jericho! I can really taste all the aromas of a yummy Christmas cake, including loads of dried fruits, sweet spices (cinnamon, cloves, anise…), sugary vanilla, rum & raisin ice cream, marzipan and candied oranges.